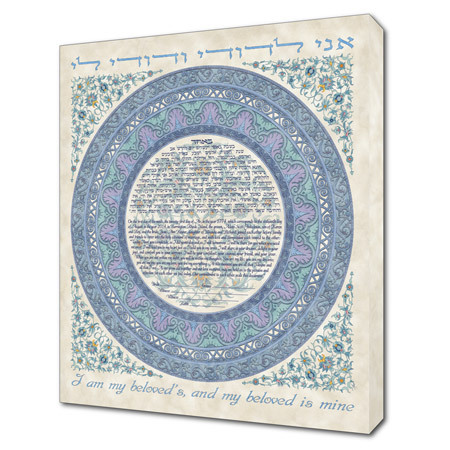 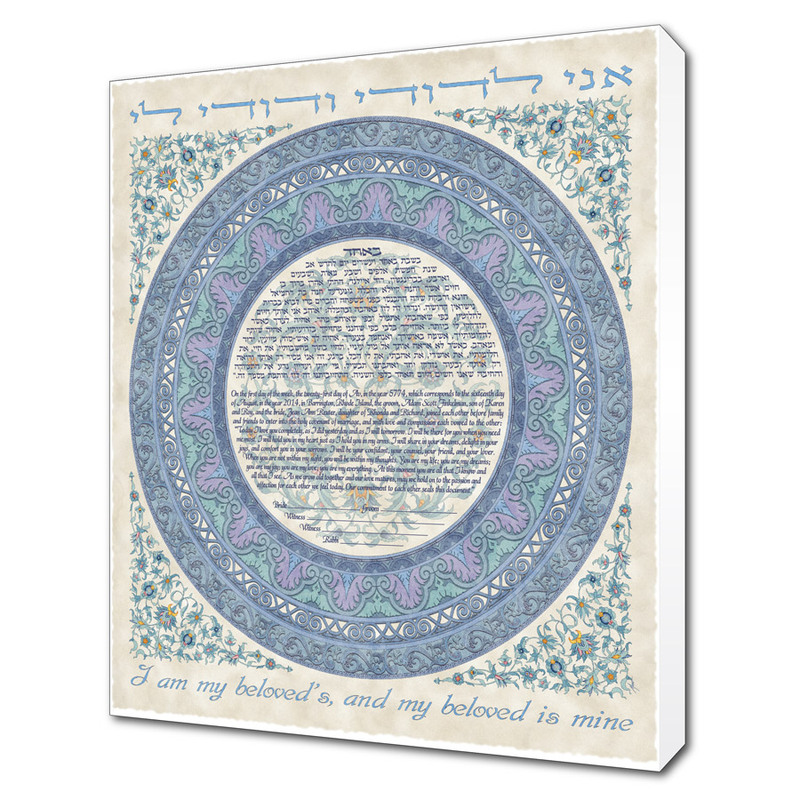 ketubah4less : 12.5" x 14"
Standard : 19" x 21.25"
This contemporary display of classic design, incorporating antique elements in a modern interpretation, is a blend of European renaissance and Persian ornament. 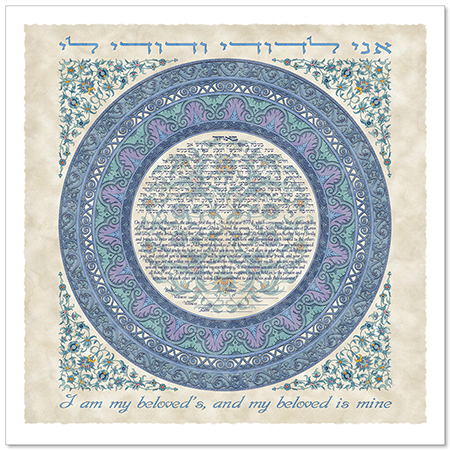 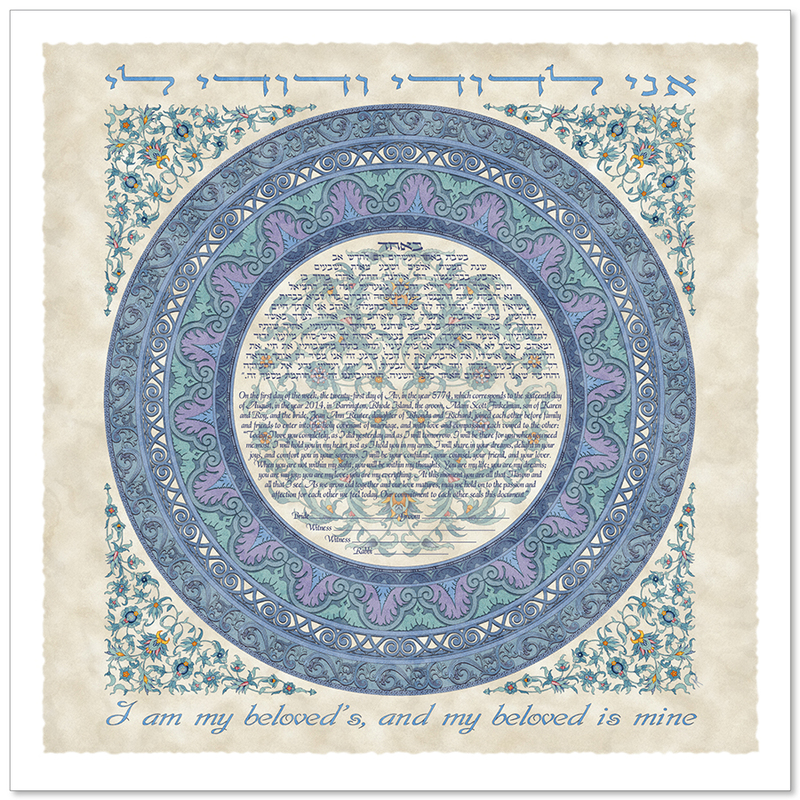 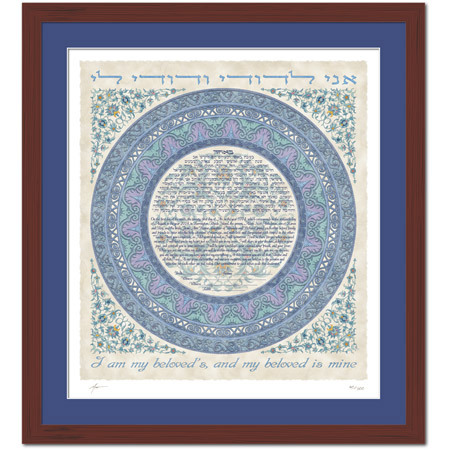 The ketubah is a beautiful representation of the wedding ring ceremony in which both partners exchange rings to symbolize their mutual respect of one another, the wholeness achieved through marriage, and their hope for an unbroken bond and lifetime commitment. 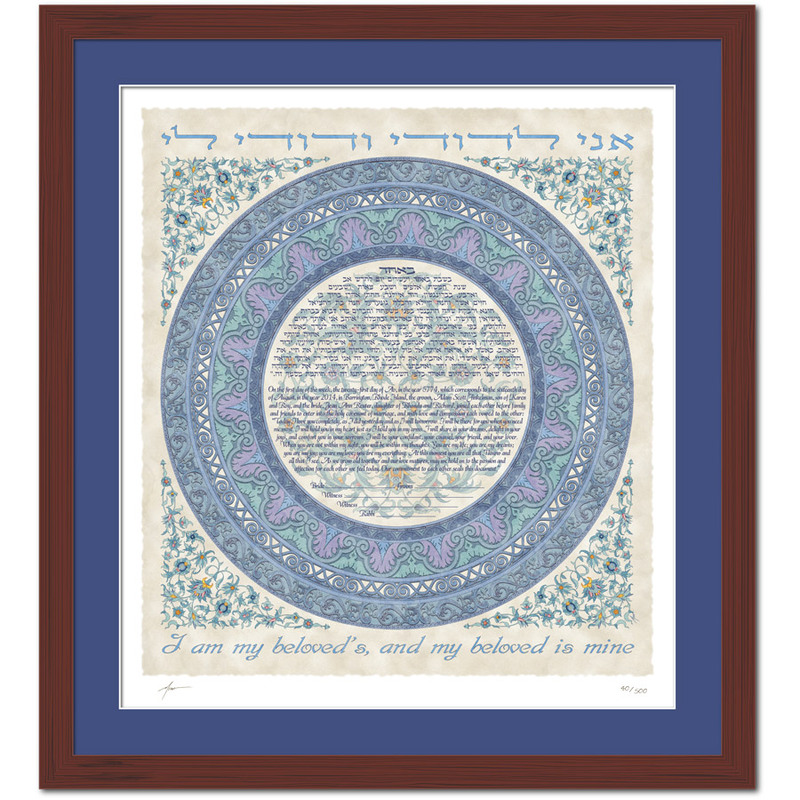 This ketubah has the look of a piece of art hundreds of years old and, because of our archival printing process, will last hundreds more.